A Maker Fest (or Maker Fair, depending on your preferred term), is an event held in your makerspace to celebrate making, share your work with your community and promote creativity. Think science fair, but with tons of hands-on activities, STEM demonstrations, robots driving around the floor and other activities. A Maker Fest can include arts and crafts projects that guests can take home, maker demonstrations, a student project showcase and more. It’s a chance to share what your maker program is like with parents, students, administration and other guests. 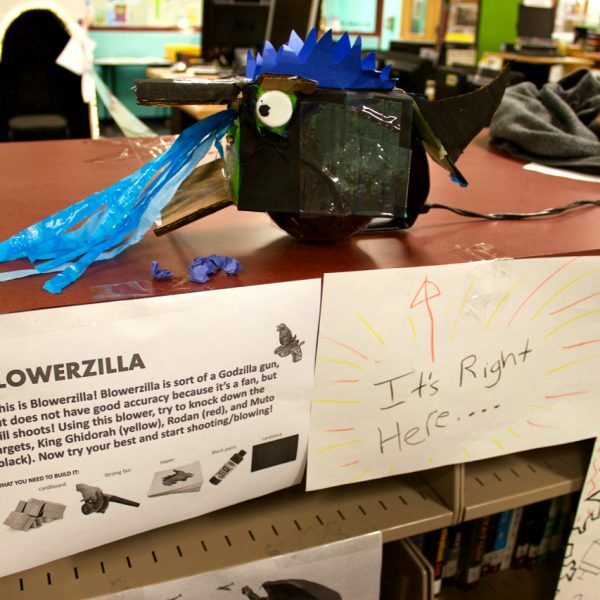 If you have any sort of maker program going on in your library, you can hold a Maker Fest. My very first Maker Fest was held only three and a half months after we started our makerspace, so it isn’t something where you have to have a long-running program to succeed. These events can be during school, afterschool, on the weekend or whenever works for you. I always held mine during the last conference night of the year — parents were already on campus, and it was a great way to wrap up the year. It doesn’t matter how much “stuff” you have in your makerspace. Got bins of LEGOs®? Create a design challenge for guests and set them out. Do your students love Perler Beads®? Set up a make-and-take station where guests can create designs that they can take home with them. 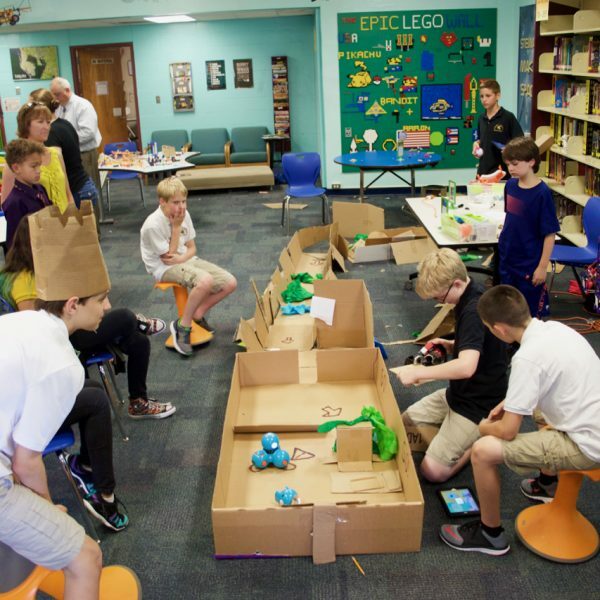 The point of a Maker Fest isn’t to show off all the cool supplies and technology that you have in your makerspace — it’s to get your guests creating, to help them experience some of what your students experience in your makerspace every day. Of course, if you have cool tech, by all means show it off. But the main goal is promoting creativity. The most important part of running a Maker Fest is letting students have a voice in your event. The majority of the planning and running of the event should fall to your students. You want them to feel a sense of ownership over the entire event. The responsibility might vary with age groups; my middle school students handled all the stations, and I took care of the organization, advertising and coordinating during the events. Elementary students might need more guidance, while high schoolers might be able to plan independently. Find what works best for you. To gather my planning group, I put out a call for students interested in planning our Maker Fest a couple of months before the event. I talked about it with our Stewart Makers club (an after-school club) and advertised it on our learning management system. Once I had my core group together, we met during lunch and brainstormed the kinds of activities we wanted to have in the Maker Fest. Gradually, we worked it down to a manageable list, and students took ownership of the different activities and started planning. 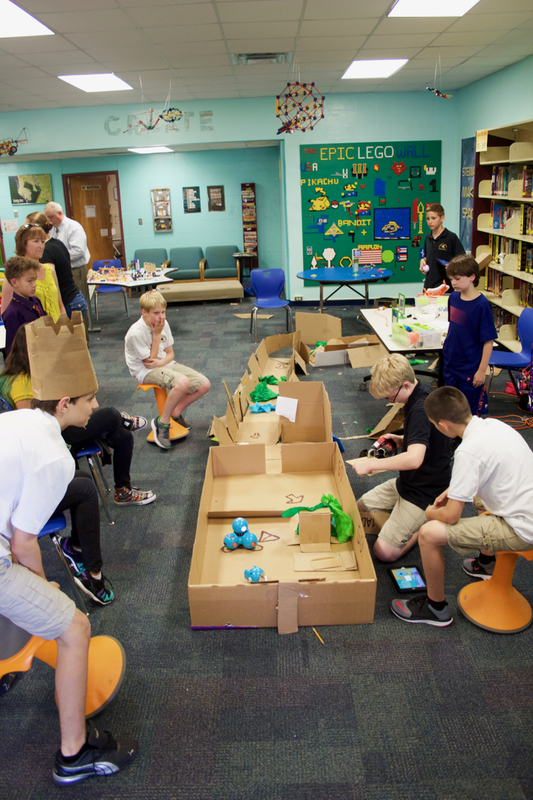 They created signage for their stations and built projects for special activities (like a ramp for K’NEX® drag racing and our infamous Maker Cave made out of cardboard). One year, students used our button maker to make buttons with their stations’ name on them, so guests would know what they were experts in. I cannot emphasize enough how important it is that your students have ownership over the event. Give them a chance to shine and you won’t regret it. 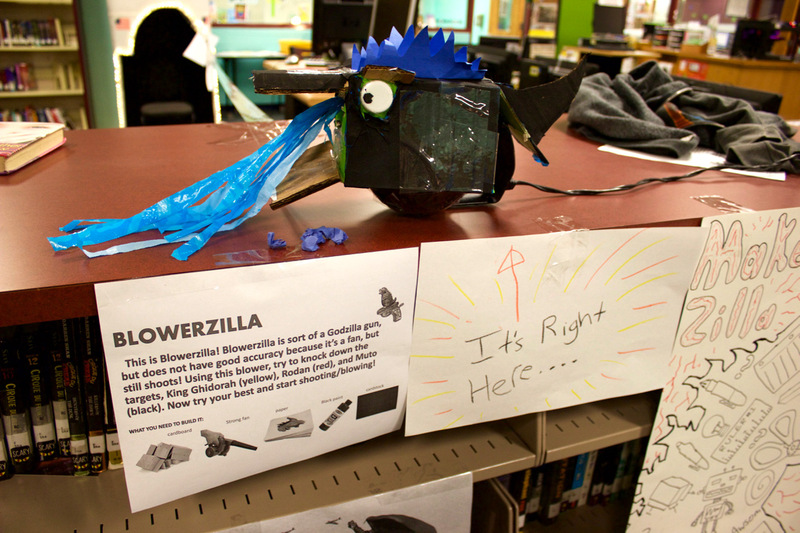 Is there a local makerspace you’ve collaborated with? Or local artists, engineers or designers who’d love to share? Invite them to showcase as special guests at your Maker Fest. For three years in a row, we invited our local makerspace, Tampa Hackerspace, to come to our events. They brought 3D printers and robots and talked about their programs with our guests. It was a great way to demonstrate that the maker movement was greater than just our one school. It also gave our parents and students an opportunity to learn where they could continue their maker journey outside of school or over the summer. People won’t come to your Maker Fest if they don’t know it’s happening. Send flyers home to parents. Send out an e-mail blast. Post it on social media. I also sent personal e-mail invitations to every member of our school board and higher administration. I posted it on our librarian listserv as well. One year, we had a school board member, the head of magnet schools, both library supervisors and several librarians from other schools attend. This creates an excellent opportunity for advocacy of your library program because nothing is more powerful than seeing students’ learning in action. Get Ready to Start Making! Explore project supplies and maker tools that will inspire creativity and activate learning. Set up some littleBits and have students explain how circuits work and how to use them. Have a student show guests how to drive Sphero or Dash with an iPad. Have a student guide at your 3D printer to explain how it works and to guide guests through using Tinkercad. 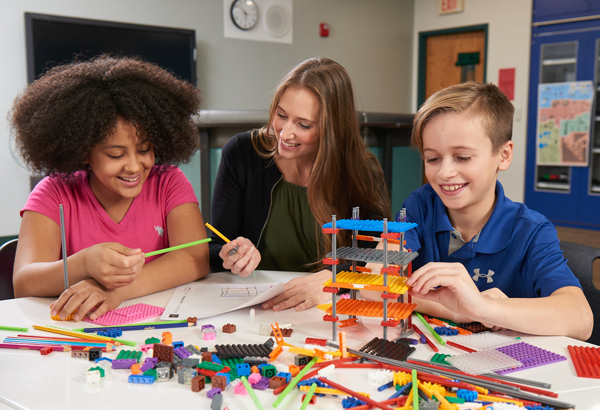 Build a cardboard ramp and invite guests to build dragsters out of K’NEX to race down the ramp. At the Maker Fests I’ve overseen, I’ve found that the Make-and-take stations are often some of the most popular. People love getting the opportunity to create something that they can take home with them. Students running these stations get to help guests as they work on their creations. You’ll often see a wide range of ages at these stations, from students’ younger siblings to older adults. Visit Demco MakerHub, your source for 100s of lessons, searchable by product, subject, and grade level. Note: While I use the term “Maker Fest” in this post and in my book, my students preferred the term “Maker Fair,” so that was what we called our events. It’s mostly a matter of semantics, so use whatever term works best for you. Want to know even more about Maker Fests and other ways to bring challenge-based learning into your makerspace? 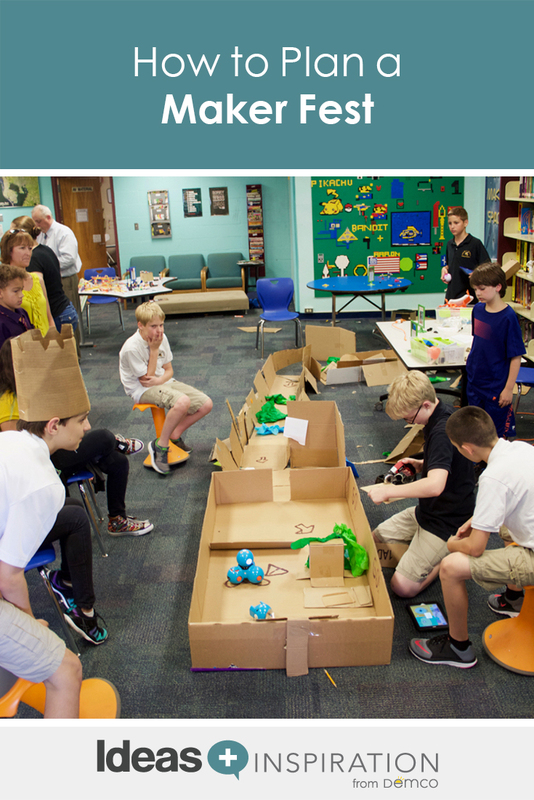 Check out Challenge-Based Learning in the School Library Makerspace, which I co-authored with Colleen Graves and Aaron Graves. Diana is the media specialist at a 6–12 independent school in Tampa, FL. She is the creator of the blog Renovated Learning, where she documented the creation of her makerpsace at her previous school, a public magnet middle school. Diana is the winner of the 2016 ISTE Outstanding Young Educator Award, the 2015 AASL Frances Henne Award and the 2015 SLJ Build Something Bold Award. She is an international speaker on the maker movement and has presented at many conferences, including AASL, FETC and ISTE. Diana co-authored Challenge-Based Learning in the School Library Makerspace with Colleen and Aaron Graves, and is the author of Reimagining Library Spaces: Transform Your Space on Any Budget. I really enjoyed this article. I am taking a course to be a Teacher Librarian and this sounds like an amazing plan that I would like to implement. I particularly like your advice by creating an after school club to create projects and have students be a part of a planning committee to help organize. These are amazing, creative and innovative ideas. I cannot wait for September to through a Maker Fest at my school. We have lots of resources already to add. I subscribed to your newsletter and look forward to learning more. Glad you found the information helpful, Karen!